Here are just a few examples of projects we have recently delivered to our clients in the government, mining, energy and natural resources, airport, defence and development industries. The Department and Transport and Main Roads engaged Ecosure to assist the Fitzroy District Environmental and Cultural Heritage team with delivering a substantial program of infrastructure works for 2016-17 and 2017-18. - Compilation of Environmental Scoping Reports and Environmental Assessment Reports. - Compilation, submission and management of environmental authorities and development approvals. - Auditing of project sites and management plans. - Post-construction audit of the Environmental Management Plan (construction). - Close out defects and ensure all permits are surrendered. 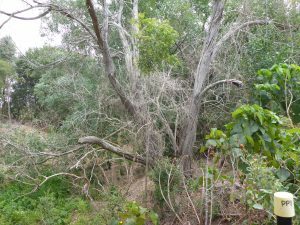 The Queensland Government is funding the project in 2017-2018 under DAF1498CQA-3 for the provision of rehabilitation and management of fish habitat in Central Queensland. 1- Promote linkages between and amongst (connectivity) the area where fish live (habitat). 2- Improve the existing degraded environments where fish live. 3- Reduce the impacts to the environments where fish live. The project aims to achieve these outcomes by identifying priority areas of the Calliope River and, with the help of the land holders, restore these areas to improve the river and native vegetation along these sections. 1- Assessment, to identify areas that can be restored through consultation with landholders. 2- Planning, to develop the restoration action plan. 3- Implementation, to carry out any restoration work or management of the Calliope River. Amongst the many hazards to aircraft from wildlife, the least well understood is that posed by mud nesting wasps. Ecosure is investigating the ecology and nesting preferences of mud nesting wasps for our major airport client. These wasps are known to use airspeed pitot probes on the nose of aircraft as nesting locations – instead of building an elaborate nest from mud, female wasps have learned that these probes are ready-made homes for their larvae, and all they have to do is provision them with paralysed prey (spiders) and seal off the end. Ecosure is working in collaboration with our client, airlines and the state Museum to determine if the wasps have preferences of types of aircraft and specific locations at the airport, and what environmental factors may influence their choice of aircraft as nesting sites. 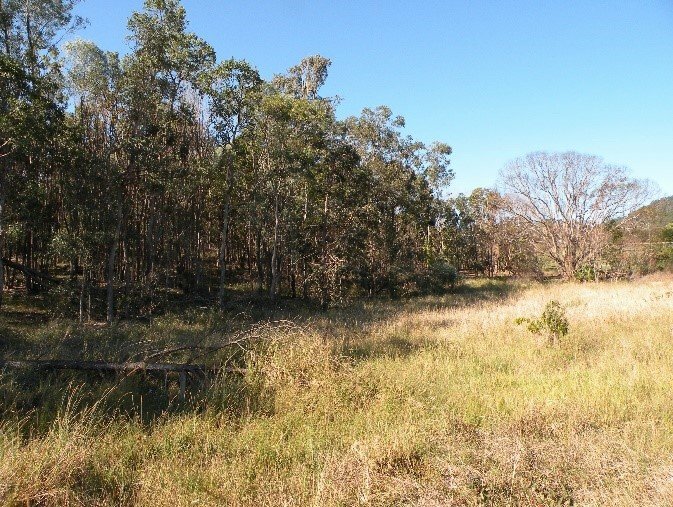 Ecosure and Brisbane City Council have been working together to deliver two separate ecological offsets – one at Fig Tree Pocket and the other at Brighton. 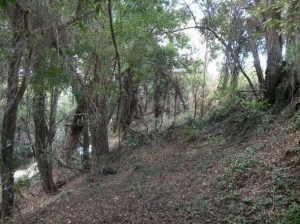 The Fig Tree Pocket ecological restoration project is a result of some impacts made to native vegetation with the construction of the Legacy Way tunnel. A site was chosen adjacent to the Fig Tree Pocket Equestrian Club that originally contained the same Regional Ecosystem that was being cleared for a part of the necessary construction. 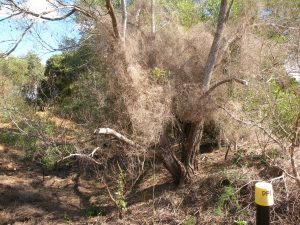 The site was severely degraded and was being further impacted by extensive infestations of environmental weeds. Ecosure commenced the project with a thorough site analysis and the development of a practical restoration plan so all stakeholders were clear about what was happening over the course of the three year project. The plan included information on weeds and their control as well as a species list for planting and information on how the site would be worked and maintained. Once approved, restoration works commenced with the control of the many weed species impacting the site. 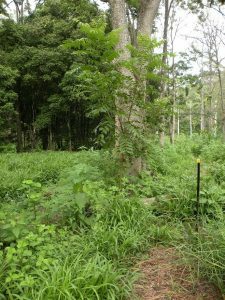 They included climbing asparagus fern (Asparagus africanus), Chinese celtis (Celtis sinensis), guava (Psidium guajava), lantana (lantana camara), mickey mouse bush (Ochna serrulata), giant devil’s fig (Solanum chrysotrichum) and many groundcovers and exotic grasses to name a few. 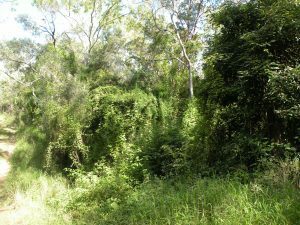 Once weed control activities had stabilised, the revegetation of the site occurred. Ecosure bush regenerators planted more than 11, 200 locally sourced native plants. 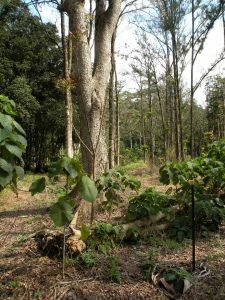 Species were installed according to how they would grow naturally ensuring that each plant was placed in the position that suited its niche in the ecosystem. Two years into the three year project and native plants are establishing well and weeds are being continually suppressed to ensure the ecosystem continues to develop to a point where only minimal maintenance is required. The site being restored at Brighton is in response to the expansion of Telegraph Rd in Carseldine where impacts to Regional Ecosystem 12.3.5 were unavoidable and native vegetation was cleared. Brisbane City Council engaged Ecosure to develop a restoration plan and restore a nominated site at Queens Parade, Brighton. Ecosure commenced weed control work and preparation of the site in May 2014 and revegetated the site with more than 4000 locally sourced tubestock in June 2014. 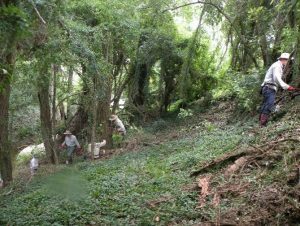 This was in addition to carrying out assisted regeneration on the edge of the adjacent natural area to promote the connectivity of the two areas. 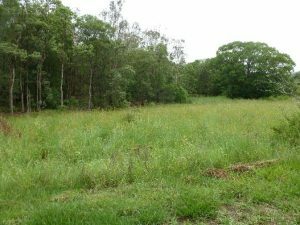 Ecosure bush regenerators are continuing to carry out regular weed control maintenance and will officially hand the site back to Brisbane City Council in June 2016. 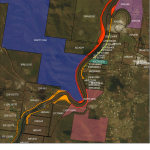 Seqwater owns and manages 65,000 hectares of land that contributes to the management of water in south-east Queensland. Ecosure worked closely with Seqwater to deliver high quality and efficient weed control across six core catchments. 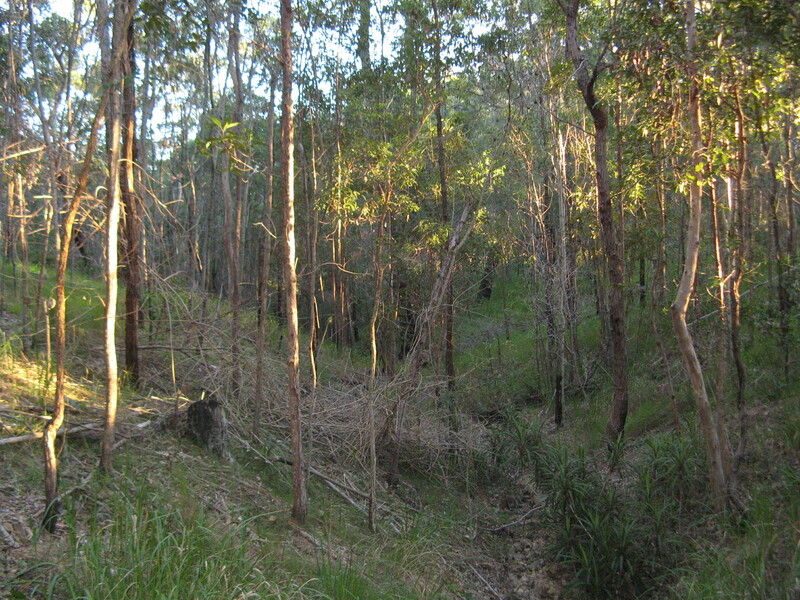 Along the Stanley River near Woodford, Ecosure bush regenerators worked on controlling a significant infestation of cat’s claw creeper (Dolichandra unguis-cati), a highly destructive exotic vine known to cause the collapse of entire riparian systems resulting in a loss of diversity, forest structure and bank stability and leaving high levels of erosion and sedimentation. 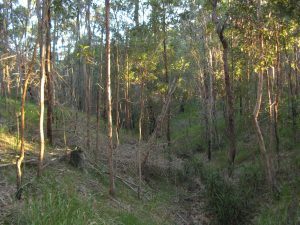 In the North Pine Catchment, Ecosure bush regenerators worked across seven sites controlling damaging vines such as cat’s claw creeper and Madeira vine (Anredera cordifolia) as well as many significant weed species such as Chinese celtis (Celtis sinensis), camphor laurel (Cinnamomum camphora) and slash pine. At Baroon Pocket dam, the team controlled significant infestations of large leaved privet (Ligustrum lucidum) and small leaved privet (L. sinense) amongst a large range of other environmental weeds including lantana (Lantana camara). At Mapleton on the Sunshine Coast, the team controlled a sizeable patch of cat’s claw creeper amongst old growth rainforest ensuring it did not spread further into the catchment area. Good plant identification skills combined with the knowledge and skill to accurately control weeds amongst the many native plants, ensured a successful weed control program was delivered. At Moogerah, 15 km west of Boonah, the team controlled some significant and extremely large cat's claw creeper. There is still much to be done though ensuring a number of these old growth vines were properly killed greatly assists the goal of totally controlling it from the catchment area. 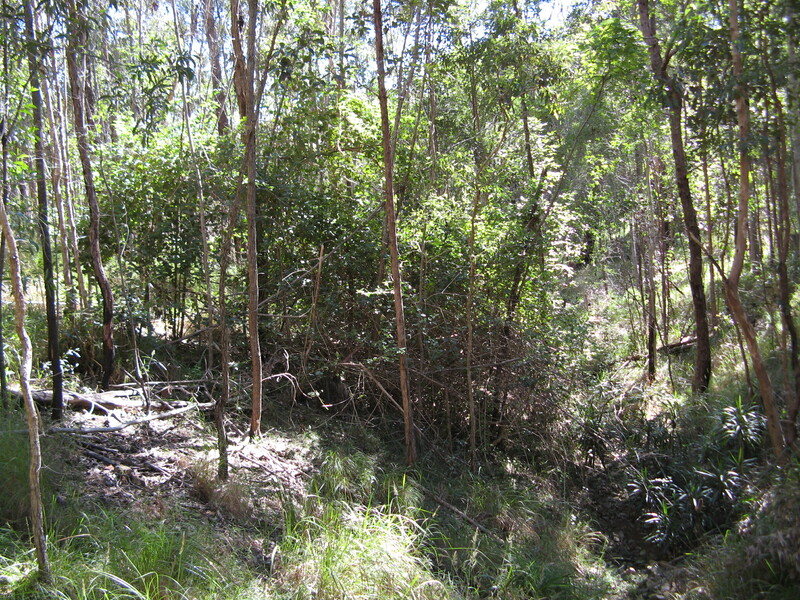 In the Hinze dam catchment, on a significant parcel of land that links the Wold Heritage areas of Springbrook and Lamington, the team carried out ecological restoration including the control of destructive vines such as Madeira vine and Balloon vine (Cardiospermum grandiflorum) along the Nerang River ensuring the propagules and seed did not spread further along the river and into the dam. The site is regenerating well and with ongoing weed control maintenance, we are confident the site will again house a large diversity of plants and animals. Identifying, and agreeing upon, species of plants and animals that are important to a city presents significant difficulties particularly if a robust, rigorous and repeatable methodology is required. 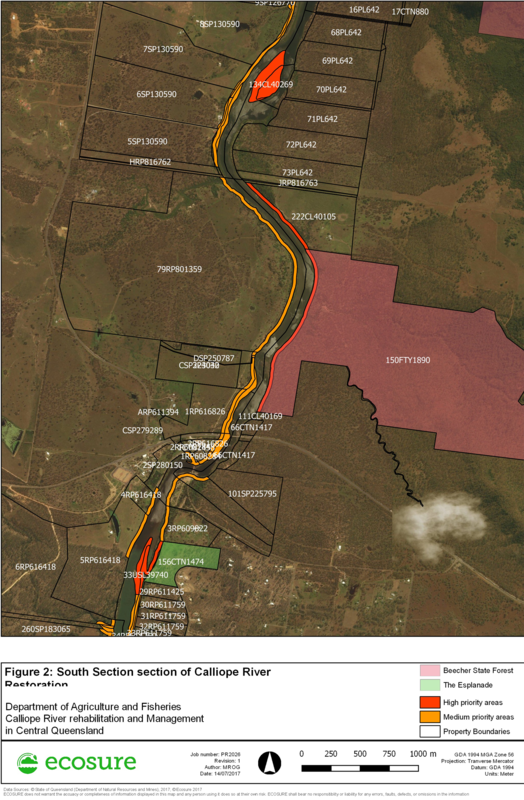 This was the challenge presented to Ecosure by a south east Queensland local government. Ecosure's team of environmental consultants began by developing a framework to be approved by a panel of experts. Once agreed, this was populated for every species that had been identified as present within the City. This, however, required the alignment and consolidation of a large number of data bases before applying a scoring or weighting methodology. At each stage, inputs were considered by an internal panel of experts within Ecosure before the outputs were assessed by a panel of local experts. This required a great deal of sensitivity to ensure that, through this consultation process, each of the expert’s opinions were carefully considered and accommodated. The result has been widely accepted as exceptional and has provided the client with a definitive and extensive list of the important species in the City. Ecosure are particularly proud of this work and are comfortable that the method that they have developed can be applied to any local government area. Our client is required by legislation to prepare an Airport Environment Strategy (AES). One purpose of the AES is to ensure that all operations are undertaken in accordance with the legislation and that a framework is established to assess compliance. Included in this process is an annual small mammal survey and quarterly frog monitoring. Ecosure’s ongoing task over the last ten years has been to monitor and report on significant species including the common planigale , wallum sedge frog and wallum froglet. Ecosure have used a number of techniques to undertake these surveys including pit-fall traps and call-playback. In addition, the ecology team have monitored water quality to support their frog monitoring. The accurate and timely reports provided by Ecosure to the client have ensured their ongoing compliance and developed a lasting professional partnership that we expect to continue for many years to come. Since 1996, Ecosure has provided the Ibis Management Coordination Group (IMCG) with ongoing theoretical and technical support to respond to unnaturally abundant ibis in South-East QLD. Our ecologists have collated and maintained datasets from disparate stakeholders across the region to ensure that ibis are managed at a landscape scale. As part of this process, Ecosure has developed innovative ways to present the region’s datasets that allows analysis of spatial distribution and population change. Our aim for the IMCG is to create a platform for proactive management at the stakeholder and regional level. Ecosure's environmental scientists were engaged to monitor and manage pest animal species at Canungra Field Training Area, a 6000 hectare training reserve owned by Department of Defence. Using sand plots and the Allen Index, along with PIR cameras and searches for animal sign, the abundance of each pest species on site was estimated. Pest species recorded on site included the European red fox (Vulpes vulpes), feral cat (Felis cattus), wild dog (Canis lupis familiaris), and brown hare (Lepus capensis), for which management was triggered for all species other than hare. An integrated approach to management was implemented, including a 1080 baiting program, soft-jaw trapping and cage trapping. Management was highly successful, with a significant reduction in pest animal activity identified during post-management monitoring. Wild dog scats and tissue samples were also collected for analysis to determine the level of dingo purity in the population. These results will continue to inform decisions to appropriately design and implement subsequent management strategies. Ecosure was also engaged to develop an updated five year pest animal management strategy for the site to identify statutory requirements, species information, methods for monitoring and control and recommendations for future programs. Ecosure's team of environmental consultants, teamed with Dr Steve Phillips, were recently engaged to conduct detailed koala surveys in the Burleigh Heads bushland region of the Gold Coast. 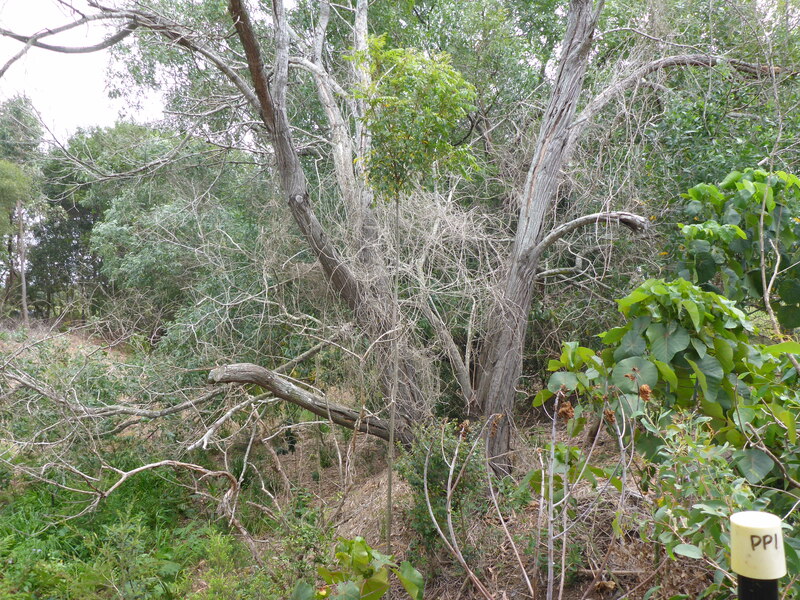 These surveys were designed to use the spot assessment technique and strip transects to provide assessments of koala activity and density throughout the area. In addition, a city-wide desktop assessment was required to identify priority locations for fixed long-term monitoring sites. These sites were required to monitor changes in habitat quality for koalas and associated changes in distribution and abundance of the species. Ecosure's team of environmental scientists were engaged to prepare an information guide on flying-foxes for all elected representatives in Queensland. This guide provides information on flying-fox ecology, community concerns and managing impacts from flying-foxes to assist councils understand and effectively manage issues. This guide is a key resource to support a highly challenging situation for local government agencies and our selection by the client to deliver this project was based on recognition of our unique expertise and experience with regard to flying fox conservation and management. Since 2005, Ecosure's team of environmental consultants and ecologists have been working with our long-term airport client to manage fox and hare populations on the airport to preserve biodiversity and mitigate aircraft strike risk. Triggered by an increase in sightings, Ecosure has also managed rabbits on site since 2011. We monitor pest activity through regular spotlighting surveys and active searches for pest activity, including fence breaches. This allows targeted management and enables the success of the program to be evaluated. We have used a combination of warren and den fumigation, trapping, baiting and spotlight shooting to effectively manage pest animals on the airport. To assist in a coordinated approach and approve the efficacy of the program we have engaged with the Darling Downs-Moreton Rabbit Board, Livestock Health and Pest Authority and surrounding landholders. Consultation led to the Department of Transport and Main Roads managing rabbits on their adjacent block, which was thought to be a source for rabbits on airport land. This program has been effective in considerably reducing the number and distribution of all vertebrate pests across the airfield. The Department of National Parks, Recreation, Sport and Racing, through the Queensland Parks and Wildlife Service (QPWS) engaged Ecosure to perform weed control works at Taunton National Park in Central Queensland west of Rockhampton. Through the targeted control of weed species, the project aimed to encourage the re-establishment of the endangered bridled nail-tail wallaby's food source. Works involved identification and control of targeted weed species within designated areas and recording of GPS points to map weed species. Ecosure’s ecological restoration team utilised an all terrain vehicle to traverse the National Park trails to locate and control target weed species. Field works were completed within the allocated timeframe and reporting was completed ahead of schedule. Ecosure was recently invited by Queensland University of Technology (QUT) in Brisbane to deliver a week long workshop to visiting government and NGO representatives from Paraguay participating in an Australia Awards Fellowship, funded by the Australian Government’s aid program. The Fellowship program was specifically designed by QUT, in collaboration with NGO and public sector partners in Paraguay, to build environmental conservation, sustainable development, change management and leadership capacity of participants, as well as provide an opportunity to take part in international benchmarking site visits to gain exposure to Australian best practice. Ecosure's ecologists and environmental consultants presented lectures and facilitated site excursions, encompassing environmental conservation from a consultancy perspective. Topics covered included assessing resource development impacts, assessment of natural heritage values, landscape ecology, restoration ecology and threatened species monitoring. Participants responded positively to the program, citing benefits from the practical and firsthand experience of Ecosure staff, as well as noting their passion and enthusiasm for their work. Ecosure was commissioned by Queensland’s Department of Environment and Heritage Protection (EHP) to conduct an objective scientific review of the Fraser Island Dingo Management Strategy (FIDMS), located off Maryborough. The FIDMS was released in 2001 with the objectives of ensuring the sustainability of a wild dingo population on Fraser Island, reducing the risk to humans and providing visitors with a safe opportunity to view dingoes in an environment as near as possible to their natural state. We evaluated the FIDMS through independent review of relevant information, data compilation and statistical analysis, stakeholder consultation (including the Fraser Island World Heritage Area Committees) and community engagement. The resulting report included recommendations that will improve risk management and visitor safety while ensuring a sustainable Fraser Island dingo population. A steering committee was also established to oversee the review process and to provide recommendations to the Minister for EHP based on our review report. The report has been released to the community and received favourable response from key stakeholders. 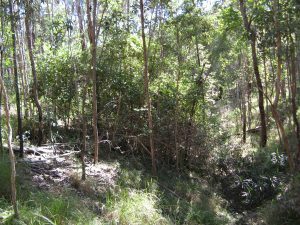 One of our local government clients, the City of Gold Coast Natural Areas Management Unit and Ecosure are working together to restore significant parcels of land across the Gold Coast including Lower Beechmont, Bally Mountain and Trees Road Conservation Areas. The restoration of approx. 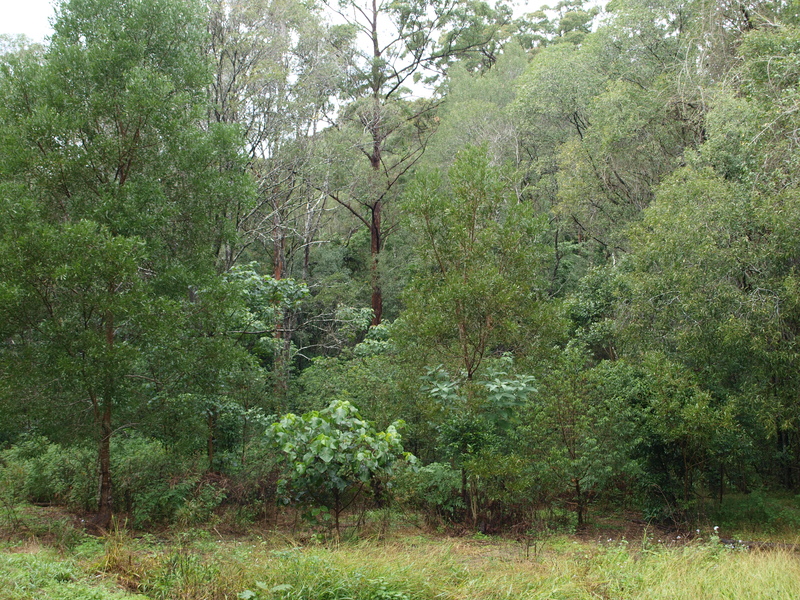 680 hectares at Lower Beechmont Conservation Area requires a number of approaches including weed control using a range of techniques across a diversity of vegetation types; planting to stabilise part of the riparian area; large scale weed control following fuel reduction burns; and the maintenance of all previously worked areas to ensure the continuing health of more than 30 hectares. Timely maintenance has kept costs down and ensures the recovery of native species so over time minimum maintenance is only required. Flying-foxes are protected native Australian mammals that play a vital role in ecosystem health. There have been instances where flying-foxes create issues for humans when they roost in close proximity to human populations or particular amenities.To assist in addressing community concern, Ecosure was appointed to develop a city-wide flying-fox management plan as a framework for managing health, economic and amenity issues associated with identified flying-fox roosts, while providing for their protection and conservation. Ecosure surveyed 32 roosts and through site assessment, extensive community consultation and desktop analysis, determined the values and potential risks for each site. The team used GIS to put each roost in a regional context and modelled suitable habitat characteristics to map other potential roost sites. Management options for each site were included in the plan, which included an education strategy based on a professional phone survey commissioned by Ecosure. It is expected that this strategic, regional approach to flying-fox management will become the standard for the management of all species that interact with humans across south-east Queensland and the rest of Australia. 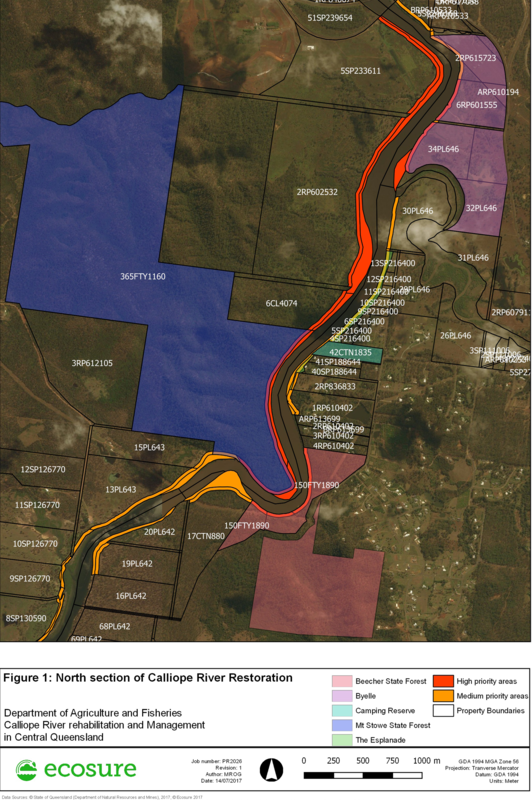 Ecosure was engaged to carry out a vegetation management program at Shoalwater Bay Training Area (SWBTA), a remote site north of Rockhampton owned by the Department of Defence covering 454,500 ha of terrestrial and marine environments. The project involved surveying (from the air and ground) and mapping this extensive property before developing plans to guide on-ground works. The weed control program completed by our team of environmental consultants at Shoalwater Bay has been ongoing since 2010 and has focussed on parthenium, rubber vine, lantana, Madeira vine, mile-a-minute and ochna. The program continues to be a success through minimal off-target damage and maintenance programs that ensure newly germinating weeds are controlled. Surveying and monitoring, including quadrat sampling and the use of photo monitoring points, generate data for reports to our client to demonstrate successful outcomes including a measurable and significant reduction in weed cover. Ecosure's aquatic ecologists conducted an aquatic assessment as part of the Environmental Impact Statement for Phase 1 of our client’s runway and terminal upgrade airport expansion project. The project involved the assessment of environmental values associated with freshwater ecosystems on the Airport site. This included a description of aquatic ecological values, desktop investigations and collation of existing information relating to the ecological values of the sites waterways, baseline field surveys of aquatic ecosystems (physical condition, aquatic flora, macroinvertebrates, fish, sediment quality, physico-chemical surface water quality), an impact assessment for Phase 1 of the airport expansion, derivation of impact mitigation measures, and preparation of EMP components relevant to protecting aquatic ecological values at the airport site. A leading gas company operating in Central Queensland engaged Ecosure to develop and implement mitigation measures for the ornamental snake (Denisonia maculata), a threatened species listed as vulnerable under state (NCA) and federal (EPBC) legislation. Ecosure conducted nocturnal surveys to confirm species presence and identify key areas of activity. Individuals located were relocated to reduce the population within the clearing footprint. 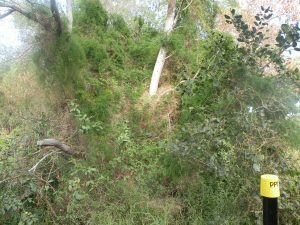 A fauna spotter catcher remained on site during clearing activities to relocate ornamental snakes and other fauna encountered during clearing. Our client is a multinational engineering, construction and project management corporation and key contractor for a major mine site development in Moranbah, west of Mackay. Ecosure were subcontracted to provide Fauna Spotter Catcher, project management and reporting services associated with land clearing at the site. The project involved pre-clear surveys and habitat assessments prior to works, monitoring of clearing activities, capture and relocation of fauna from the clearing site to the nearest suitable habitat, transport of injured wildlife to an appropriate care facility, and fulfilling reporting requirements for the Department of Environment and Heritage Protection(EHP). During the course of the project, Ecosure successfully captured and relocated almost 10,000 animals. Ecosure was engaged to undertake a literature review, habitat assessment, platypus and turtle survey (including bank observation, snorkelling and overnight deployment of baited cathedral traps and fyke nets) to establish the potential for platypus (Ornithorhynchus anatinus), Fitzroy River turtle (Rheodytes leukops) and southern snapping turtle (Elseya albagula) to occur within riverine habitat in the vicinity of a proposed pipeline Right of Way. Potential habitat was identified and actual use confirmed. Construction works were scheduled to avoid the breeding and nesting periods for confirmed target species, to minimise the risk of mortality to juveniles or destruction of active nests, and to help plan a suitable waterway crossing construction timetable. Ecosure was engaged to undertake desktop assessments and field surveys to establish the aquatic ecological values of waterways intersected by a number of our client’s proposed gas pipelines. Field investigations included habitat assessment and collection of physico-chemical water quality data, fish survey (using backpack electrofishing techniques, seine nets, fyke nets and box traps), turtle survey (using cathedral traps and fyke nets), macroinvertebrate sampling (following AusRivAS protocols), botanical inventories and physical habitat assessment. Aquatic Values Management Plans were developed and provided site-specific impact mitigation measures to protect identified aquatic values at each proposed waterway crossing. 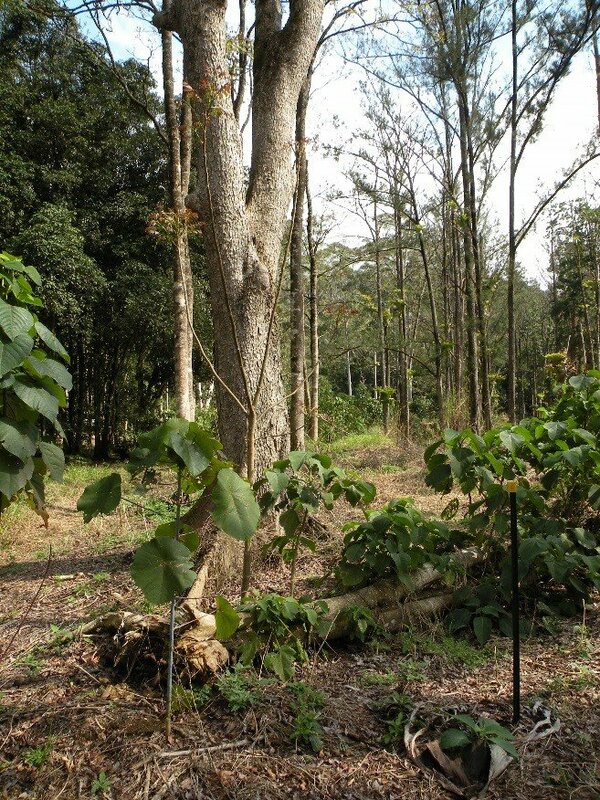 Energex engaged Ecosure's ecological restoration team to revegetate a large site at Tamborine Village Substation on Mount Tamborine in the Gold Coast hinterland. The project aimed to return the site to a near natural state by revegetating with local species that were likely to have occurred prior to the site being cleared, thereby enhancing the nature conservation values, water quality and ecological function of the site and surrounds. After assessing the site and its requirements, preparation including weed control and ripping were conducted for the planting of 10,300 local plants. The area is now under maintenance with excellent survival rates and will continue to be maintained for another 2 years. Ecosure’s client is a major energy provider and operator of key power stations around the Rockhampton and Gladstone region. They required a manual to be written that enabled the ongoing sampling and monitoring of water quality between contained and receiving environments. In addition, Ecosure was asked to submit a report to the regulators detailing the procedures for achieving compliance with water quality guidelines.Following this work, the client asked Ecosure to conduct an ongoing quarterly and annual assessment of surface water and groundwater in the vicinity of the power station. 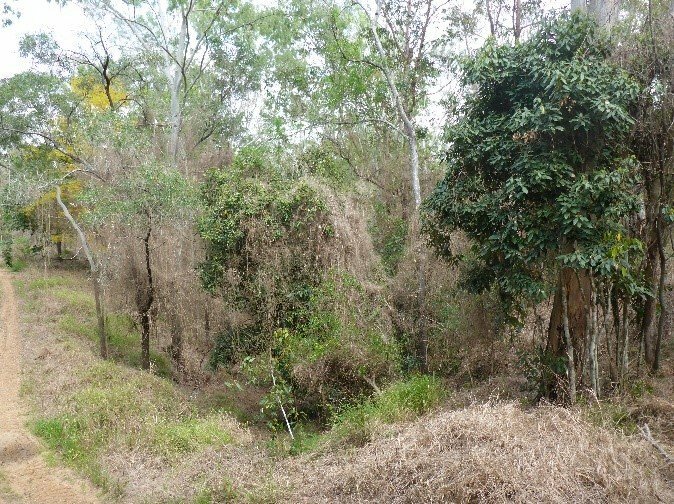 Ecosure's environmental consultants were engaged to conduct surveys for Commonwealth (EPBC) listed species and ecological communities (flora and fauna) on a mining lease at Meteor Downs, west of Rockhampton. Surveys included targeted searches for king blue grass, red goshawk, south-eastern long-eared bat, koala, Australian painted snipe. Regional ecosystem mapping (under the Vegetation Management Act 1999) was also ground-truthed. Our client was pleased with the project outcomes, stating "Not only did Ecosure deliver as promised but the work was of excellent quality and was successfully included in the much anticipated Commonwealth Project Description." Ecosure's team of environmental consultants have been working with a number of clients during construction projects on Gold Coast Airport land from 2006 to present. Our role has included acting as the project environmental representative for the client, conducting site inductions for all staff, and holding regular environmental toolbox talks. The scope of environmental compliance roles has stretched from the provision of a full time environmental compliance officer for a seven month period, to monthly or weekly compliance visits. On-ground tasks have incorporated elements such as water quality monitoring (i.e. prior to the release from site of construction water), assessing erosion and sediment control, and FSC services. This role includes liaising with a variety of project stakeholders and being familiar with the site to ensure compliance with CEMP requirements. 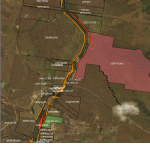 Our client, a multinational property and infrastructure development company, engaged Ecosure to provide fauna spotter catcher services for the construction of a 26 km stretch of rail duplication in Central Queensland. Ecosure's team of fauna spotter catchers conducted a pre-clear survey of the entire rail corridor to identify and flag animal habitat features within the corridor that would be impacted by clearing activities. During clearing activities, we provided fauna spotter catchers for each clearing machine, housed animals impacted by the clearing operations on site and provided reports on captured animals. Our clients are developing gas fields and constructing a number of long distance high pressure gas pipelines, to take gas from the Surat and Bowen basins in Central Queensland to processing plants on Curtis Island off Gladstone. A significant number of environmental approvals are required to satisfy Commonwealth and State regulators. Ecosure provide flora, fauna and aquatic survey teams to assess the gas fields, gathering lines and main pipeline routes and report on the occurrence of protected vegetation and species, and advise on the optimal re-design of gas well layouts and re-routing of the pipeline to minimise environmental harm. We use the full range of fauna survey methods, including pitfall trapping, bat call analysis, direct observation, Elliot trapping and harp trapping. 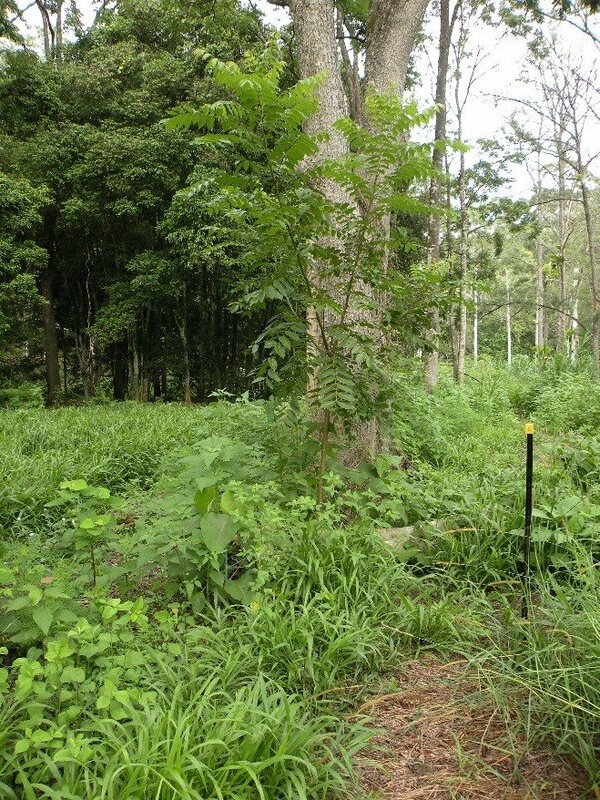 Our botanists and ecologists are also experienced in threatened plant identification and native vegetation ecology. These surveys result in route revisions and infrastructure designs that avoid ecologically sensitive locations and protect threatened species, thereby minimising environmental harm. By doing so our clients are granted the approvals they require. Ecosure's team of environmental consultants worked with our client, a national construction company, to prepare a series of environmental management plans specific to the construction of a bypass. These sub plans fell under an overarching CEMP, and covered such aspects as sediment and erosion control, flora and fauna, dust and air quality, waste, and water quality. Ecosure's ecological restoration team is currently working with EHP to restore 210 hectares of predominantly cleared land within the Flinders-Karawatha corridor to prime koala habitat. 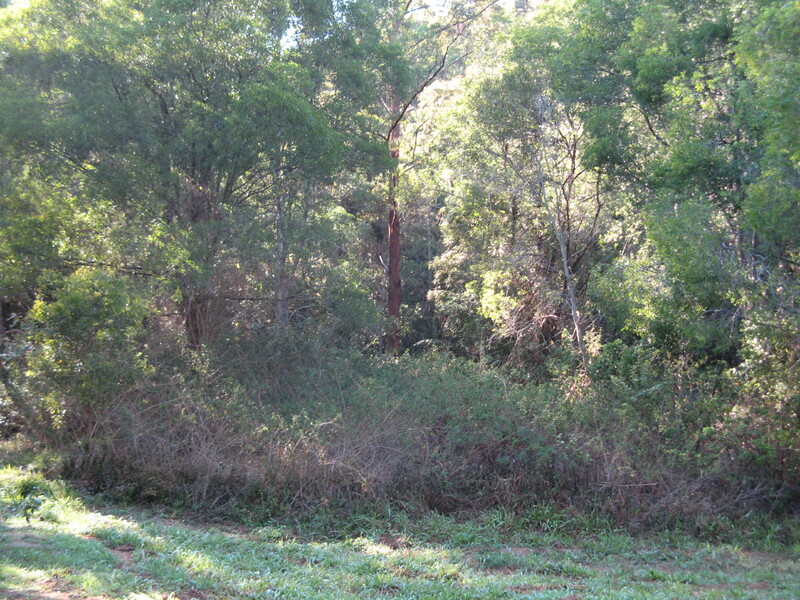 The project is currently the largest State government funded Koala habitat restoration project in Queensland. 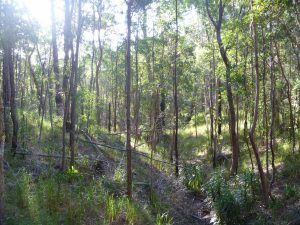 The project forms part of the Queensland Government Department of Environment and Heritage Protection’s (EHP) Koala Nature Refuges Program. 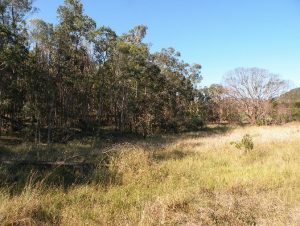 The program provides landholders from ten local government areas within South East Queensland an opportunity to partner with the State to restore koala habitat on their land. 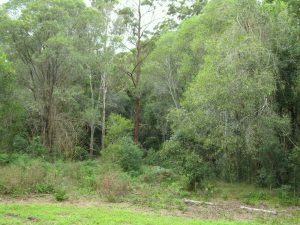 Located adjacent to a large regional nature corridor, the project site is highly diverse containing several rare and threatened species including the koala. Ecosure's ecological restoration team has been engaged by EHP to further enhance the site’s ecological value by increasing the density of food and shelter trees for local koala populations, and improving connectivity between fragmented vegetation patches. Our team of environmental consultants will plant 113,000 koala trees, regenerate more than 60 hectares of existing native vegetation currently impacted by weeds and maintain the site for up to six years to ensure the trees thrive and the habitat is successfully returned to a natural state. Through this project we hope to be able to demonstrate to all levels of government, stakeholders and our community that nature conservation, its protection and restoration is a sound investment. Our client required a detailed investigation to determine the potential ecological impacts and offset requirements of a proposed major road upgrade. Ecosure's team of environmental consultants and ecologists completed terrestrial flora, fauna and aquatic ecology assessments and provided results and recommendations to a government department. This involved advising on legislative requirements and possible triggers under state (protected plants) and Commonwealth environmental legislation (EPBC). After spending time in the field with Ecosure's ecologists, the client verbally praised our team’s on-the-ground communication and teamwork, and additionally provided feedback on Ecosure’s "commendable effort" in continually meeting stringent deadlines and delivering a coherent and concise report which met their needs.